The front porch is going to be the first thing people see when looking at your home. Therefore proper lighting is needed for a number of reasons: security, safety, creating an inviting home, and curb appeal (boosting your property value). Below you will find outdoor porch lighting ideas that cover all of those reasons. 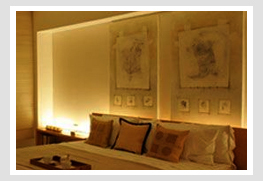 Motion Lights – Motion lights adds in improving the security of a home. 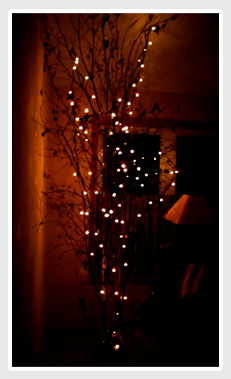 They are also great for when you arrive home they will brightly light up the area making it easy to get around. When installing a motion light, make sure the light doesn’t spill into anyone’s house. 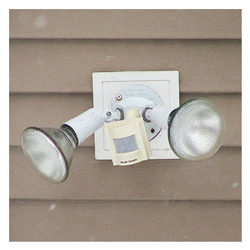 If you plan on using one of these, it would be a good idea to install at least one more light on the porch so there is still some light when the motion lights are not on. 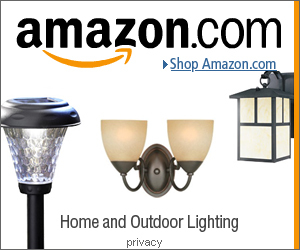 Flush Mount – The most common form of porch lighting would be a flush mount light. These are the kinds of lights that are fitted close to the ceiling. There are a number of styles to choose from, from the standard flush mounts, to lanterns and outdoor fans that have a flush mount light integrated into it (meaning you’ll only need one electrical outlet to install a fan and a light). Pendant Lighting – Pendant lights are a more elegant form of outdoor porch lighting. As they hang they bring light closer down to the porch surface. You wouldn’t want to use these lights in really windy climates though. You can find an easy DIY outdoor pendant lighting guide here: DIY Outdoor Pendant Lighting Using String Lights and Basket Frames. 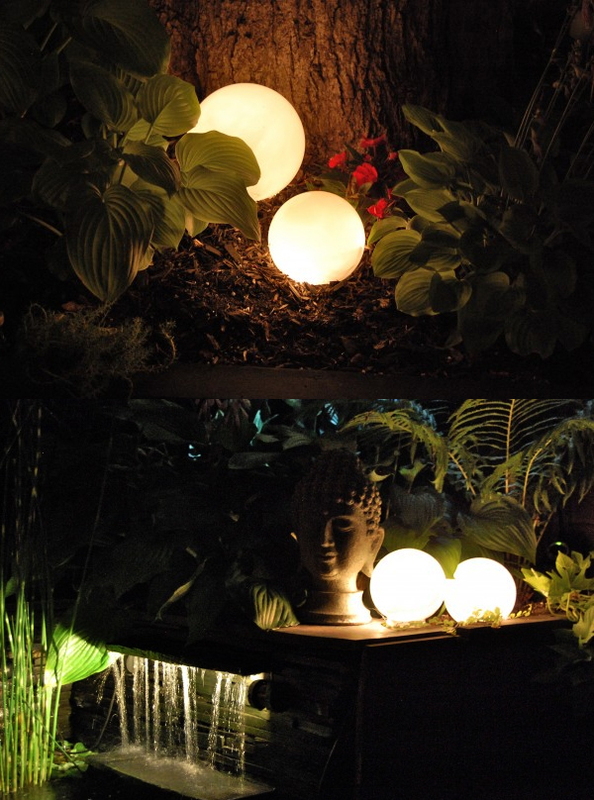 Or check out this related article: Design Guide: Ideas for Outdoor Pendant Lighting Fixtures. Wall Lights -These can come as lanterns, sconces (where the light comes out of the top and bottom), or wall washers (the light just comes out of the top). These can be placed all around the house, but a simple idea is to have one on each side of the door. Recessed Lights – If you have a modern styled or newly built home, recessed lights would be a good front porch lighting idea. 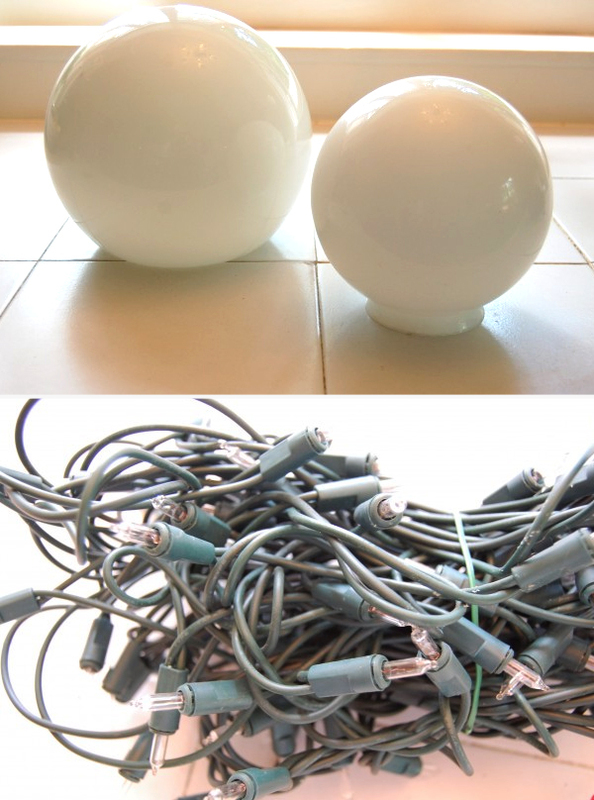 These lights will be fitted into the porch ceiling so all the parts will be hidden away creating a clean, sleek look. 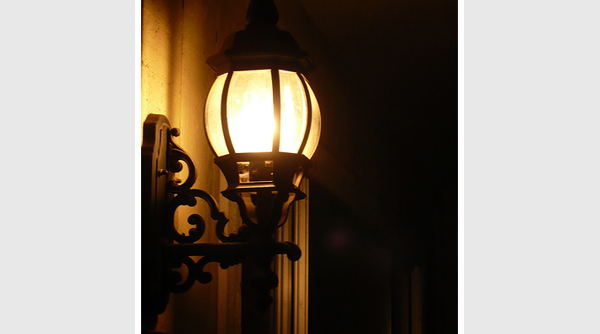 Step Lighting – If you have steps leading up to your porch they would need some form of lighting. 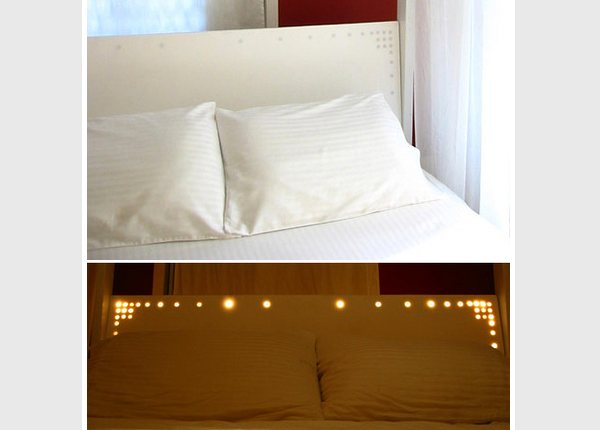 A few ideas include: using string lights and wrapping them around railings or lights can be fitted into the steps. For more ideas and pictures have a look at our guide here: outdoor stair lighting. Solar jars can line the edges of the floor and provide electricity free lighting at night. They can be bought on Amazon or there are DIY tutorials like this one: Simple and Easy Decorative DIY Solar Jar. Uplights can be placed at the base of the porch columns, shining light upwards. Path Lights – If you have a path leading up to your home, then it could do with some lighting. One of the simplest lighting solutions would be to use solar stake lights. These are simply planted into the ground – no wiring needed. 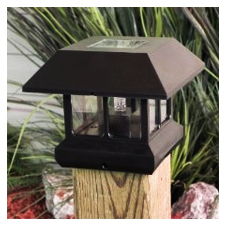 Another idea would be to use solar cap lights that can be fitted on top of posts, or uplighting nearby trees or flower beds can provide indirect path lighting. 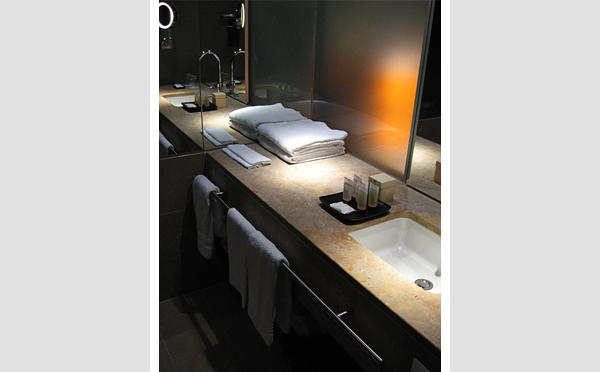 For more ideas have a look at our post here: path lighting ideas. One Light Bulb – It is surprise the impact one light bulb can have. In Stockton California there was a high rate of crime, so councilwoman Diana Lowery campaigned to get one light bulb onto everyone’s porch with the backing of the Police Chief. Having just one light on all night helps in deterring crime, hence the slogan: “Light up the night, Crime hates it bright”. Therefore it is a good idea to have lights fitted to the outside of the house all around, including on the porch. Note: If you want to leave a light on the whole night, which is a good idea, then have a look at using energy saving light bulbs like compact florescent lamp bulbs (CFL). Or go a step further and install solar porch lights. Solar stake lights are some of the most common solar powered lights available making them pretty inexpensive. They are simply planted into the soil around the backyard – an alternative would be to fill a bucket or pot with soil/sand allowing you to place them around a deck/porch/patio/balcony. 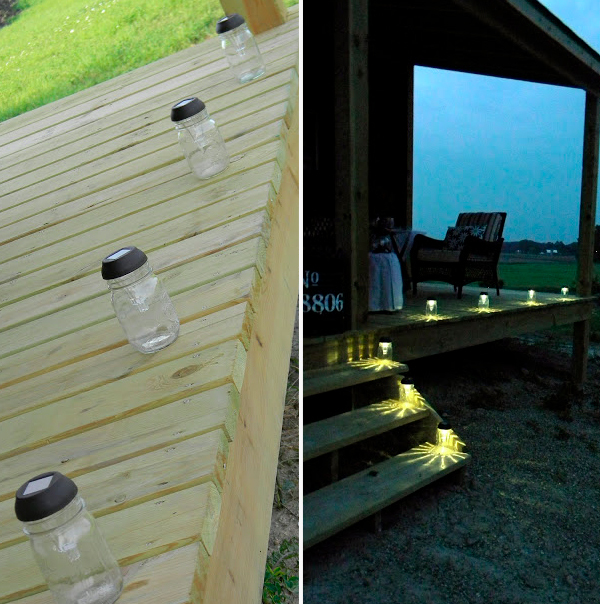 If you want a more decorative solar light fixture then have a look at this DIY solar jar project by Creative Cain Cabin. 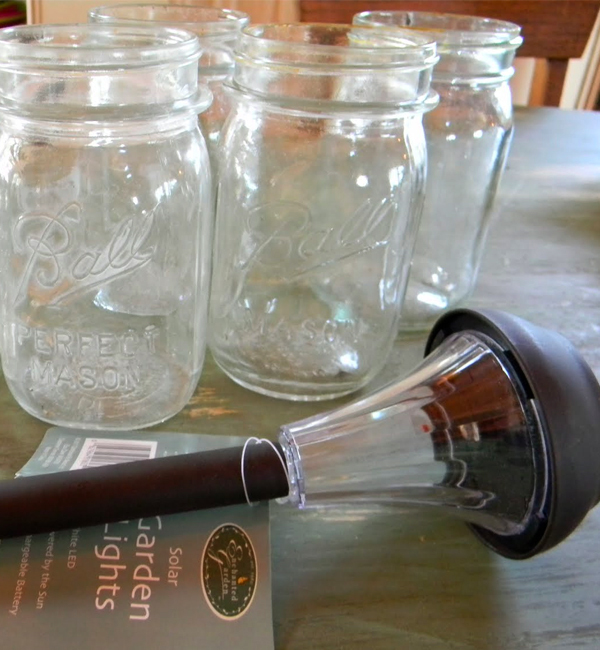 They have simply removed the stem of the stake lights, and then hot glued the light part onto vintage Mason jars. And there you have it, inexpensive and decorative solar lights. Tiki torches are already so majestic just the way they are, but have a look at these tiki torches that have colored flames. We like the more natural colors – our favorites are A) the original flame (can’t beat that one) and B) the blue flame. 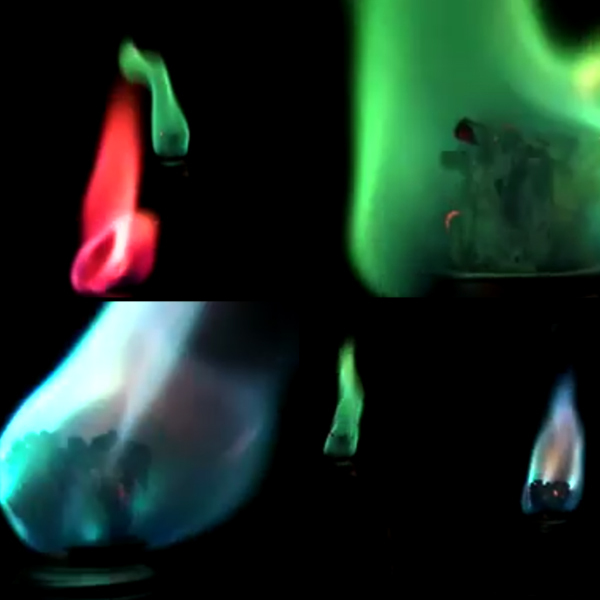 The colored flame is created through burning a metal or salts like calcium chloride (bleaching powder) to create blue flames or magnesium sulphate (Epsom salt) for white flames. 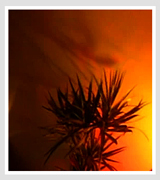 Don’t forget about citronella tiki torch fuel as an alternative. A cousin of the lemon grass, so it is an organic substance, citronella oil burns with less smoke and also acts as a natural insect repellent.